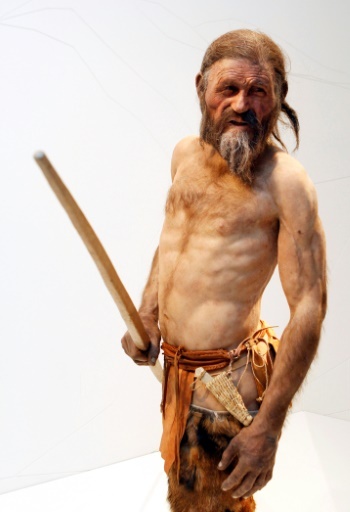 Do You Know Who was Oetzi, the Stone Age Iceman? 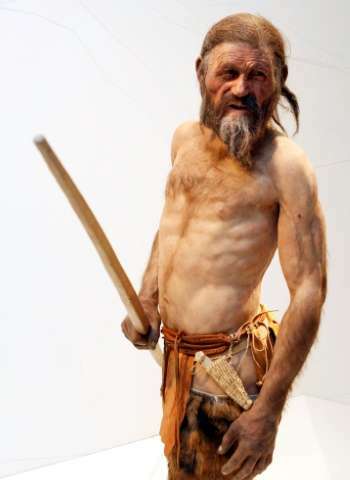 Home Daily News Do You Know Who was Oetzi, the Stone Age Iceman? Oetzi, a 5-foot-3-inch-tall iceman, believed to have lived 5,300 years ago is Europe’s oldest known mummy, having been found in Italy’s Oetztal Alps on September 19, 1991. According to scientists, Oetzi possibly died (old/allowed to get old/got older) 45 from an arrow wound after which his body got preserved in ice and has since added/gave to present knowledge of Neolithic people’s (way of living). His last meal was most likely dried goat meat, according to scientists who recently managed to dissect the contents of Oetzi’s stomach. “We’ve analysed the meat’s nanostructure and it looks like he ate very fatty, dried meat, most likely bacon,” German mummy expert Albert Zink said at a talk in Vienna late Wednesday. More specifically, the tasty snack is thought to have come from a wild goat in South Tyrol, the northern Italian region where Oetzi roamed around and where his remains were found in September 1991. Mummified in ice, he was discovered by two German hikers in the Oetztal Alps, 3,210 metres (10,500 feet) above sea level. These efforts have determined Oetzi died around the age of 45, was about 1.60 metres (five foot, three inches) tall and weighed 50 kilos (110 pounds). He suffered a violent death, with an arrow severing a major blood vessel between the rib cage and the left shoulder blade, as well as a laceration on the hand.